The 2016 presidential debate cycle is now complete and little was said on the topic of immigration until the final one. Not surprisingly, no new information came to light. In fact, each of the candidates basically assumed their fallback positions on immigration: Donald Trump believes in enforcement-first, focusing on building a wall on the southern border, and Hillary Clinton supports more comprehensive immigration policy solutions. In Trump’s naively conceived world, platitudes take the place of real policy solutions. This is most apparent when he talks about the border. Trump ignores the history and efficacy of past efforts at border security. In fact, it’s been well-documented that more targeted law-enforcement efforts, like narrowing in on drug cartels and their funding sources, are far more effective strategies for dealing with “bad hombres” than throwing more money at a border wall which can be easily penetrated; or by hiring thousands more border guards. In fact, the Border Patrol’s massive growth over the past decade has done little to minimize the illegal flows of humans and drugs. It is now the nation’s largest law-enforcement agency and plagued by scandal and mismanagement—an agency unlikely to be reined in by Trump, who continues to tout his endorsement by Border Patrol agents. While she had little time to provide more specifics in this final debate, in a speech in July before the League of United Latin American Citizens (LULAC) she promised to create a path to citizenship for those in the country without authorization, ensure future legal flows of immigrants, and to end the practice of detaining families seeking refuge in the country. 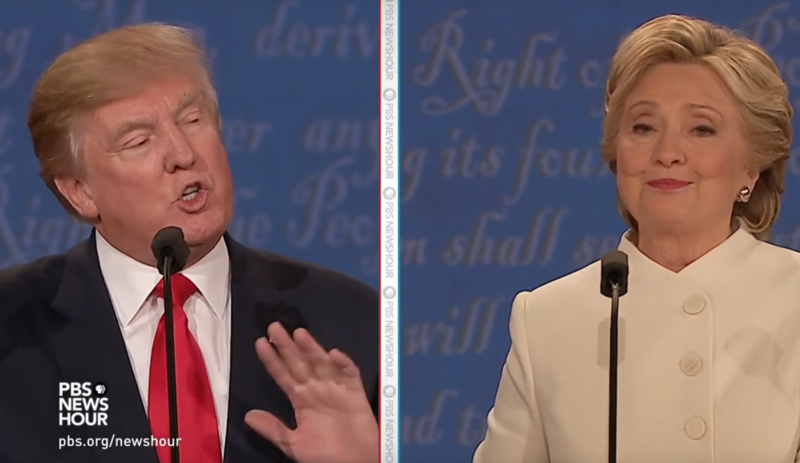 With the election a few weeks away, the final debate provided no new clarity, but reaffirmed what we have learned over the past year on where the two candidates land on the issue of immigration. Trump will begin with enforcement and then see where he lands, and Clinton will begin with a holistic view of reforming and updating the immigration system. Now it’s up for voters to decide who has the right vision for America.